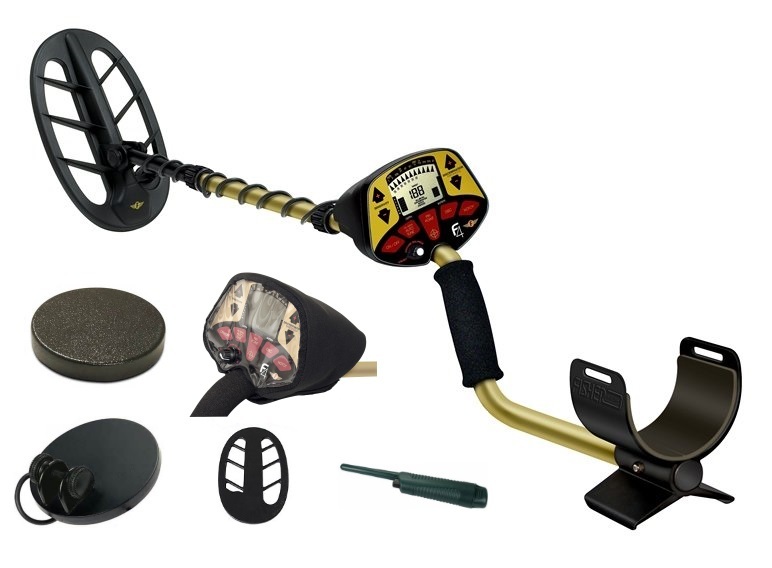 The Fisher F4 is a multi-purpose high-performance computerized metal detector. It has the high sensitivity and control plus other features found on more expensive units. 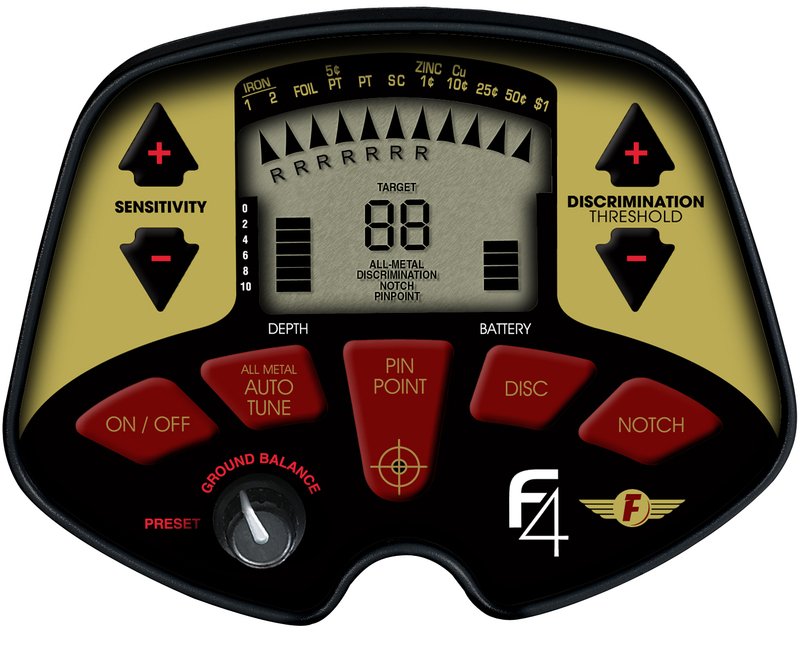 The F4 offers both a preset and a variable ground balance adjustment. The F4 comes standard with an 11-inch elliptical Bi-Axial search coil for maximum detection depth in mineralized soils.